Our favorite festival of the year is right around the corner and it is full of sugar and everything nice, err, fattening! So every time Diwali is around the corner, we tend to lose track of our eating, drinking, and fitness habits. Here are some alternatives to all that fattening food that you can indulge in, enjoy and not regret once the festival is over! 1. There is no problem that some dark cocoa cannot solve. Diwali festivities are incomplete without the customary sweet offerings! The indulgence in sweets not only affects your waistline but is also bad for the digestive system. Dark chocolate is the answer to all our desires. It has saturated fats that can be easily metabolized by our body. It is also a powerful source for antioxidants and improves blood flow. Its bio-active compounds provide sun protection too and did you know dark chocolate is great for the heart too? So pack up heavily on dark chocolate this season instead of all that jalebi! The festive season often leaves you tired and reaching out for mid-meal snacks! Well, rather that filling up the stomach with chips and samosas, binge on fruits! To make things interesting, chop some bananas, toss them with natural honey and top it with nuts. You are good to go! Fruits like Litchi, pineapple, apple and pear are a top notch this season too. Mix them up with luscious kiwis, grapes and other berries to make your festive indulgence more colorful and delicious. They have zero cholesterol and are low in fat, sodium and calories. Rich in dietary fiber, potassium and Vitamin C, they help to maintain a healthy diet too. So serve them pretty to your guests and they are sure to thank you for being the only probable guests who didnot stuff their way to their hearts this Diwali! 3. Say Bye-Bye to empty calories, go the Red Wine way! This Diwali, here is an opportunity to cut down on all that unnecessary hard liqueur by switching to some healthy, delicious red wines. They contain much less calories and are a sophisticated choice. Moreover, they are extremely good for health, particularly the heart. Sula's Dindori Reserve Shiraz crowns the list of red wine offerings having won international awards and accolades. Grown on the hills of Sula's Dindori estate and aged for a year in new oak, Sula's Dindori Reserve Shiraz is fragant, elegant and smooth, with lush berry flavours and silky tannins and makes for the perfect gift this Diwali for its ability to go beautifully with grilled food and more! Best paired with friends and family! 4. Say yes to Natural drinks. Avoid all that Thumbs Up, Pepsi and other coloured soft drinks and go natural by choosing buttermilk and naturals like coconut water instead. Buttermilk is easy to whip up at home or Amul MASTI buttermilk can be easily found at a nearby store. Order them in, add some of your homemade masalas and your guests will be happy and satisfied as ever! Why eat deep fried when you can prepare some finger-licking delicacies with a hint of Olive oil? Saute your favorite veggies in olive oil for some interesting tid-bits or even use the air-fryer to whip up some fried snacks - but with the air-fryer, they won't be as fried. And if you have to have all that heavy Indian food, cooked and re-cooked then Olive Oil is the way to go! Mushroom and garlic glazed with Dolce Vita Olive oil makes for a lip-smacking snack. If you cannot find Dolce, Figaro is always a good option. 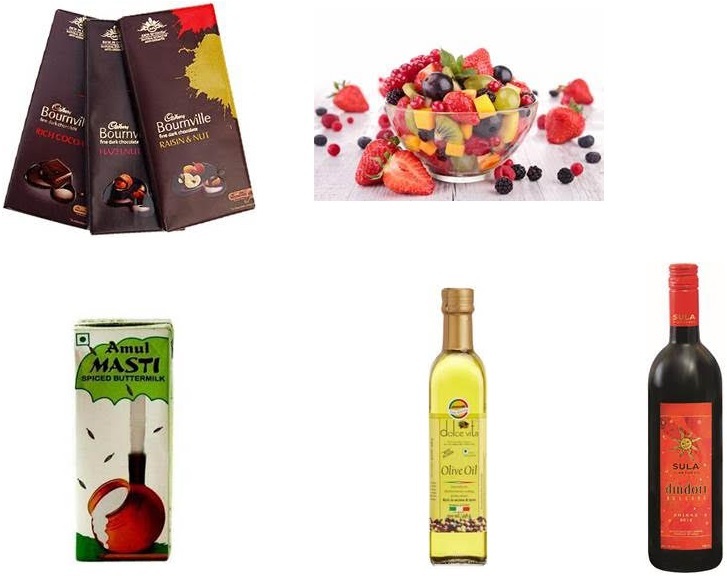 Title = Healthy alternatives for this Diwali!